The Douglas Mawson Antarctic Expedition of 1912 is one of the most amazing feats of endurance of all time. Although his two companions perished, Douglas Mawson survived, but how? 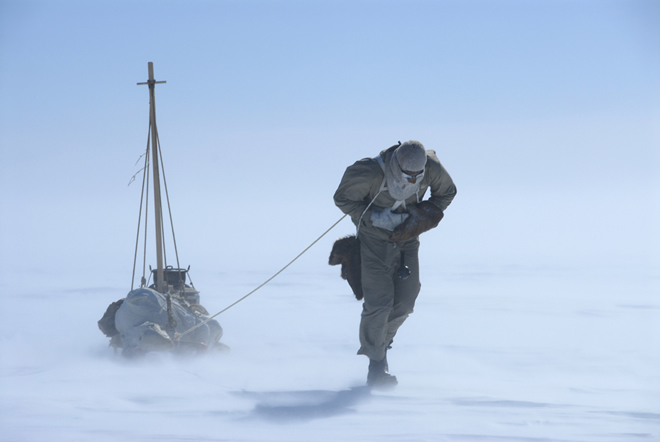 In a bold historical experiment, adventurer Tim Jarvis retraces the grueling experience, with the same meagre rations, primitive clothing and equipment to uncover what happened to Mawson physically – and mentally – as a man hanging on the precipice of life and death. Combining the drama of Jarvis’s contemporary adventure with chilling dramatic reconstructions, expert commentary and stunning footage from the original expedition photographed by Frank Hurley, this is an extraordinary story of human survival.